None of us like to admit we get things wrong and it is particularly hard for investors to do so. From time to time, however, it is worth visiting longstanding prejudices and taking a long cold look at whether a) the original view was mistaken or b) circumstances have changed. I didn’t take a stake in the privatisation of Royal Mail (RMG) because I am a long-term investor and I was concerned about its long-term future. Letters have been in decline ever since faxes, let alone emails, were invented and there was a real fear that private delivery firms would cherry pick parcel deliveries by serving only the easy routes in and between major cities. 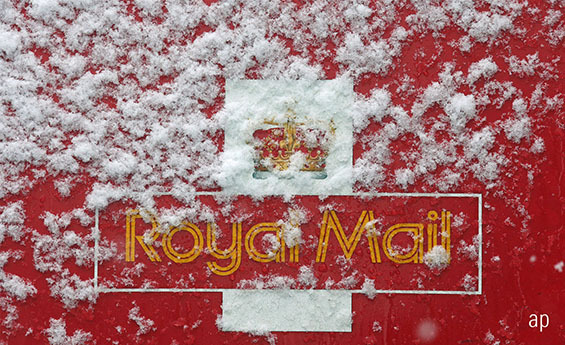 Letters inevitably have continued to decline, with deliveries 6% lower in the three months to the end of June, the first quarter of Royal Mail’s financial year, compared with the same period last year. Short term distortions such as Brexit uncertainty and the European Union’s data protection regulation may be blamed for boosting this slump, but the underlying trend is probably for 5% fewer letters each year for the foreseeable future. This may seem strange given the amount of junk mail that pours through letterboxes, but it has gone on long enough to represent a clear trend. The fear about parcels proved less sound. Rivals couldn’t hack it even with the advantage of not having to provide a nationwide service and Royal Mail delivered 7% more parcels in the latest quarter. The spread of internet shopping is the driving force, and like the spread of emails this is obviously a continuing trend. At least parcels cost more to post than letters. Letters and marketing material still account for 54% of Royal Mail’s UK revenue but we are fast approaching the time when the growing side of the business will account for the lion’s share. Royal Mail shares added 9p to 489p on the trading update but have since slipped back to around the level at which everyone knows they should have been floated. In effect, they have gone sideways. Based on figures from the past financial year, the yield is a tempting 5% but I do worry that the 24p pay-out was barely covered by 25.9p of earnings. On balance, I stick to my position of looking elsewhere for my next investment. However, if you are already in there is no cause to get out at this stage. What’s Gone Wrong for Vodafone? What a lousy year it has been so far for shareholders in Vodafone (VOD), including myself. From a peak of 228p on 9 January the shares have slipped below 180p for the first time in the past five years. Full year results issued on 15 May, covering the 12 months to 31 March, were badly received. There was nothing dire in them, although the company did mention a new entrant in the Italian market and increased competition in Spain. Indeed, the dividend was increased. I wonder if, over the years, we have come to expect spectacular announcements from Vodafone and the absence of anything major has left investors feeling bored. Analysts generally rate the shares a buy and expect them to top 200p, or even 250p in time. I sold half my holding several years ago when Vodafone sold out in the United States, a big source of profits, but I have this week bought back what I sold – and more – at a much lower price. This may not yet be the bottom for the shares, but unless there is something the Vodafone board isn’t telling us, a bounce back is surely due soon.